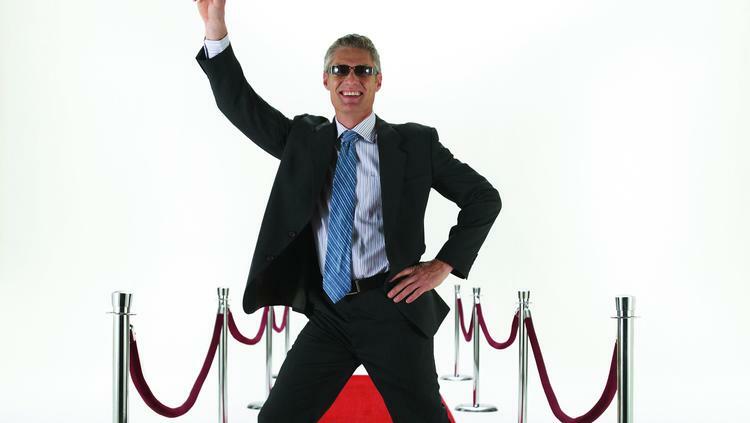 Do Extroverts Make Better Sales Representatives? If you were to make a list of the best sales representatives you’ve ever met and on that list include some of their primary traits, what would those traits be? Most certainly these top performers could be best described as highly outgoing, sociable, “people” people which are all traits of extroverts. What we don’t see is that behind closed doors, the majority of top performing sales reps are in fact, not like this all of the time. I recall when I started out in a new sales position and on my way home from my first business trip, my sales manager called me to follow-up and discuss how my calls went. I filled him in and after I was done reporting, I told him “That’s all I got.”, which confused him, so I explained “I’ve been ‘on’ all day and have been talking all day and now I’m done. I have nothing further to report. It’s time for ‘me time’ to decompress while I drive home and we can touch base next week.”. Because I’m a 50/50 Introvert/Extrovert. Sure my response may have sounded a bit cold to anyone who is a complete extrovert and couldn’t fully understand, but I can’t help it. It is what I am. 1. Highly Communicative and Like to Talk. This is fine in sales as long as you know when to shut up and listen to your client. In sales it is so important to listen to your client and engage them in a conversation, not simply talk at them or talk for the sake of talking. If you do that you certainly won’t get the sale and won’t be welcome back either. 2. Enjoy Being the Center of Attention. Some of the most charming sales reps I have ever met share this quality. They love to hear their own voice and make everyone laugh but then they run into the problem of not listening or properly engaging with the client. In sales, it’s one thing to put on a good song and dance but if you’re client just sees you as a form of entertainment, it may not translate into sales. 3. Tend to Act First Without Thinking. This is never a good thing. Highly extroverted sales reps may inadvertently say anything to get the sale simply because they acted without thinking. If you lie or over promise and under-deliver, it will hurt you not only in your professional life but in your personal life as well. 4. Assertive and Gregarious. These traits are a must for any sales rep. After all, if you can’t ask for that sale, you’ll never get that sale. 5. Feel Isolated by Too Much Time Spent Alone. This is probably the primary reason I see highly extroverted reps leave sales. If you’re on the road full time, you spend a LOT of time alone in your car, at home, in hotels…much more so than face-to-face with clients. If you’re the type of person who needs constant interaction with others, all of that alone time will take its toll on you. 1. Quiet and Reserved in Large Groups or Unfamiliar People. In sales you have to meet unfamiliar people all the time and often have to participate in trade shows or even speak at events. If you score too highly in this regard, you won’t last long in sales. 2. Good Listeners who Enjoy Understanding Details. These traits are integral to success in sales. Even if you have all the best questions to ask your client, if you don’t listen to their answers you will never qualify them properly and/or get the sale. Understanding detail is immensely important when it comes to your grasp of not only your products and/or services but your industry as a whole and your clients’ needs. 3. Interested in Self-Knowledge and Understanding. Individuals with these traits not only understand themselves better but doing so allows them to be more thoughtful of others and more empathetic. The better you understand your client, the better relationship you will have with them and the more likely that you will be able to close deals time and time again. 4. Thoughtful. Whether you are mindful of your clients’ needs or sensitive to their situation (business or personal), this can only help you develop a long-term relationship with your client as a sales rep.
5. Need time Alone to Contemplate and “Recharge” After Social Situations. Introverts do their best thinking alone. They will spend a significant amount of time analyzing the days goings on and in that time they may devise methods to better understand themselves and their clients and come up with ways to improve their lives and better service their clients. With regards to recharging, as I mentioned previously, I firmly believe balance and moderation is the key to success in life. Just like our electronic devices that we use all day long, we need to recharge our batteries too. So where do YOU stand on the introversion-extroversion scale? Complete this Extroversion-Introversion Test to find out. I scored 52/100. Well it’s not 50 exactly but it’s pretty darn close. If you’re in sales or a similar position that requires a significant amount of face-time, I would love to hear your results and your thoughts. In the meantime, happy sales my friends! 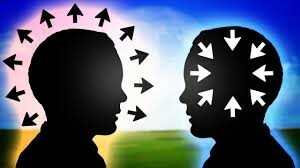 This entry was posted in Personality Traits for Success, sales, Success in Sales and tagged introvert vs extrovert, personalities for success, personality types, sales on September 17, 2015 by TravellingSaleswoman.